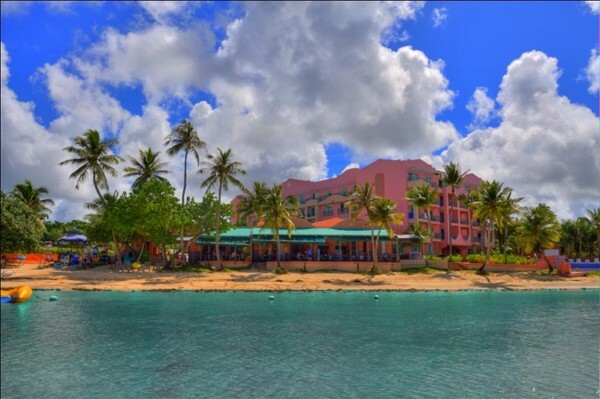 Hotel Santa Fe is a Beachfront Boutique Hotel located on beautiful Hagatna Bay, which in itself is renowned for the beauty of its spectacular Sunsets. 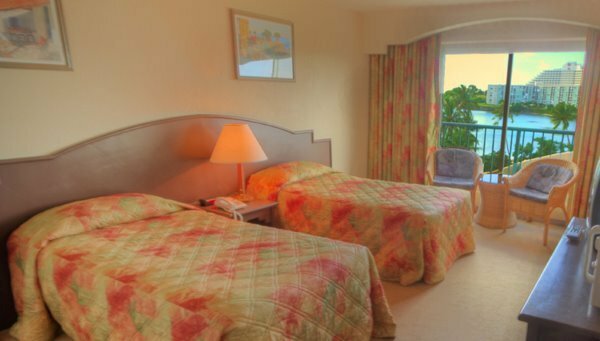 Our property and its 105 rooms reflects Guam’s warm and colorful Spanish Heritage in its architecture and sunny atmosphere, and provides the perfect setting for guests who just want to get away and relax while enjoying all that Guam has to offer. Our Guests enjoy the soothing pace of the tropics while lounging by the infinity pool or partake of one of our myriad of ocean activities, and culminating the day with Dinner and Live entertainment at the Santa Fe Grille. We are located within a short distance to a host of shopping opportunities, restaurants and entertainments, and should you wish private transportation our drivers are at your disposition. Ongoing Discount and Promotions: From now until March 31, 2019, book 4 nights for the price of 3 nights! Your 4th night is complimentary! Book your rooms today! 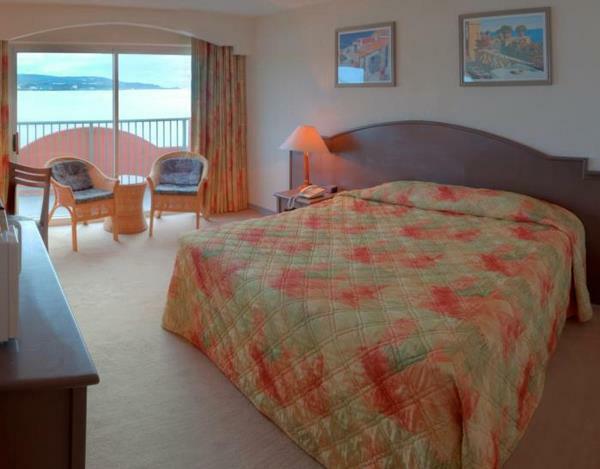 Guest Rooms. Nature’s touch inspires the interior styling of all the rooms; light, airy, and tropically designed, our rooms provide a calming, comfortable space in which you can relax. Standard guestroom amenities include: electronic key card security access, independent air conditioning, minifridge, coffee/tea maker, electronic safe, WIFI & LAN high-speed internet access, and color television with movies-on-demand. Mini Gym. 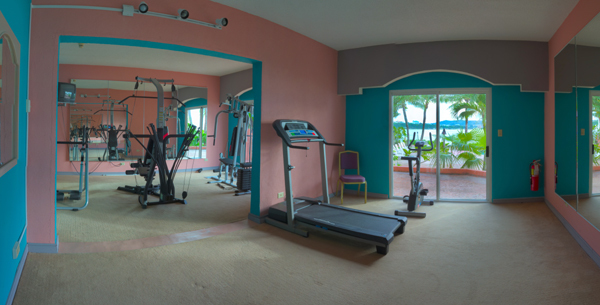 Discreet and fresh, for the exclusive use of guests, the multi-gym unit, bow-flex, a fully programmable running machine and a cycling machine, assures a safe and comprehensive workout every time. Escape & Indulge. 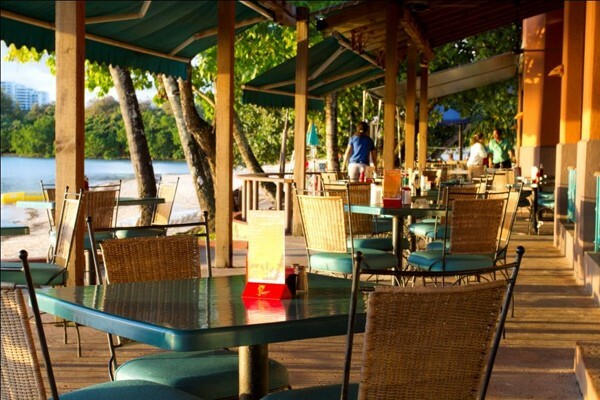 Activities on offer include snorkeling & kayaking in the peaceful Hagatna Bay. There is also jet skiing, banana boating, inflatable water gliders, scuba diving, fishing, for an adrenalin rush. Functions & Special Events. 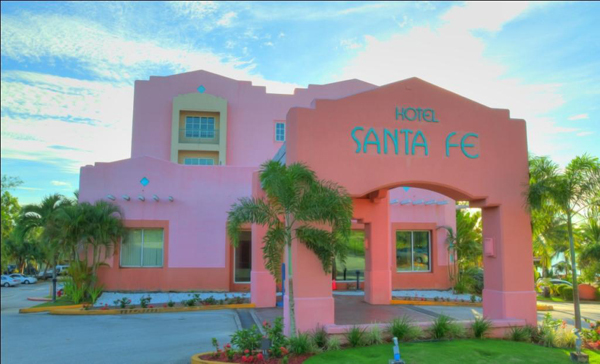 Whatever the occasion, from a birthday party to an annual dinner; from a Christmas party to a family gathering; from a workshop to a conference; there is no better venue than the Hotel Santa Fe. © 2018 Hotel Santa Fe. All rights reserved.